These two cards are the reason I had this paper ( kaisercraft Little one) out on my desk the other day. I fussy cut the elephants and owls out of some of the 12 x 12 papers in the collection, and made my boxes ( video coming I promise – they are so simple you will be amazed!) and fixed the fussy cutting onto strips of acetate.they wobble about nicely!I have since had to make more owls cards because the three I initially made have gone – I sent one to my Auntie in Perth and it handled the post perfectly and was only the cost of a normal stamp! Much cooler day here and after the week of humidity we have had it is so welcome. Looking forward to a weekend of playing with my new stampin up supplies! til tomorrow…..
Kaisercraft Little One 5,6, and 7..
Kaisercraft Little One paper collection and collectables.I had this paper out for a different reason, which I will show you all next time, but while it was out I did a couple of quick cards with it to top up my boxes.Very minimal embellishing on these ones, just my go -to ribbon, and a few buttons. I found a few heart shaped buttons in my stash and thought they were perfect for these cards. a welcome day off today, and the grocery shopping is done so i will spend a couple of hours in the craft room. I haven’t been in there much lately, it’s been too hot, and still is, but my fingers are itching to sit down and create, so I will get in the zone and ignore the weather! thank you all for your comments, I feel we are building a lovely card making community and I so enjoy hearing from all of you! 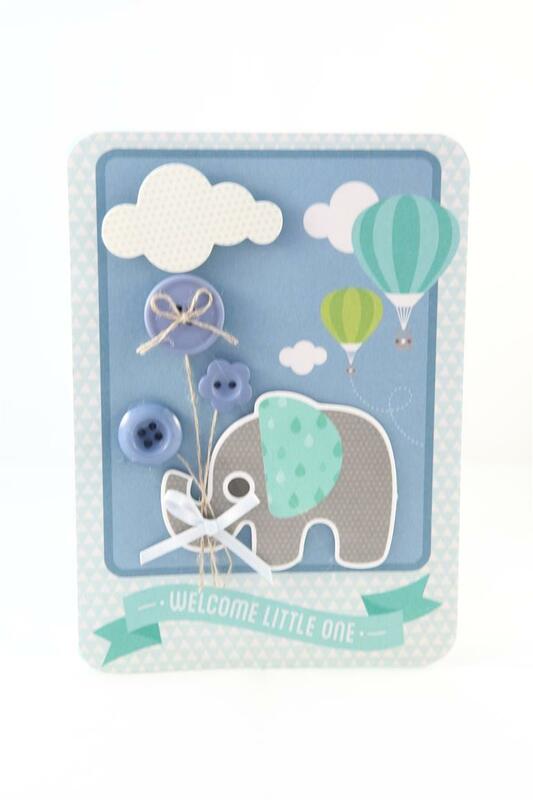 til tomorrow…..
Kaisercraft little One…baby boy card. 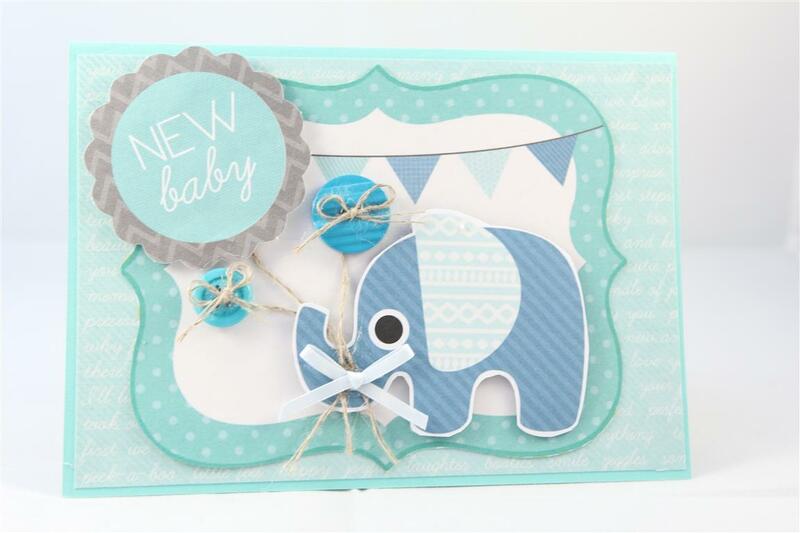 We are jumping all over the place this month, but I found a baby Boy card I made with kaisercraft Little one paper and collectables that I forgot to post.I used and elephant collectable on a card front from a piece of the 12 x 12 paper and glued on some buttons, fibbon bow and linen thread.Love the elephants in this collection! Today I was over at Mum and dads and put together some cards which I will finish in a couple of weeks when I go to our ( a few crafty friends and myself) craft afternoon get together. I have decided if I have everything ready to stick together I might actually get something done rather than just chat the afternoon away, although that is fun too!I have a few orders to do tonight and I want to get them done quickly because I have a big bundle of new stampin up stuff to play with. The Christmas papers are gorgeous and I have many ideas for them.Also have lots of new stamps, ribbon, embossing folders and dies.Today has been a glorious day here in Adelaide, and I have even had the air conditioner on for a little while,that’s the earliest in the season it’s ever been on so I wonder if we are in for a long hot summer?Til tomorow…. kaisercraft Little one paper collection, teamed with Stampin Up basic grey cardstock, and a ribbon bow.Love Grey and pink together! very quick post this morning. off to work I go..til tomorrow…. Kaisercraft Little one paper collection – the 6″ pad and matching collectables with a touch of ribbon! 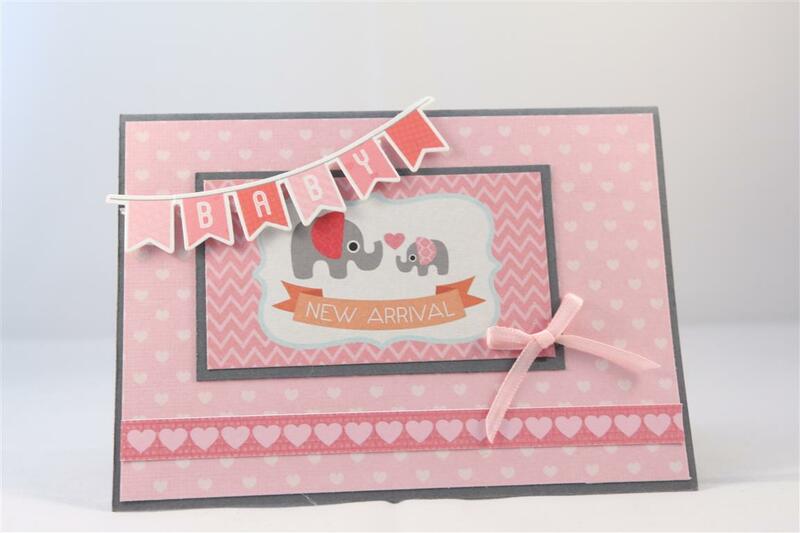 I really enjoyed playing with this collection, although i have only made a few cards so far, they are very different from my usual vintage style baby cards. Love the colours! today I am finally enjoying some time in the craft room, finding my chriatmas mojo. It’s all coming back to me! The weather here is very distracting, the sun is shining, the bees are buzzing about and blossom is exploding on some of the fruit trees, it’s lovely just sitting out in the garden feeling the sun on my face! til tomorrow…. A month or two ago I bought the kaisercraft Little One collection, and although I haven’t had much card making time recently I have managed to make a few cards from this collection. Here is the first one. A mix of papers from the 6″ pad and a piece of 12 x 12 paper and some collectables. I added some buttons, linen thread and ribbon to finish.The cardstock is stampin up . I have done a little card making today, sorted a class for Ocober and have been playing with some new stamps. I am going to stamp out some more images and sit in front of the tv tonight and colour them in ready for cards tomorrow ! til tomorrow….